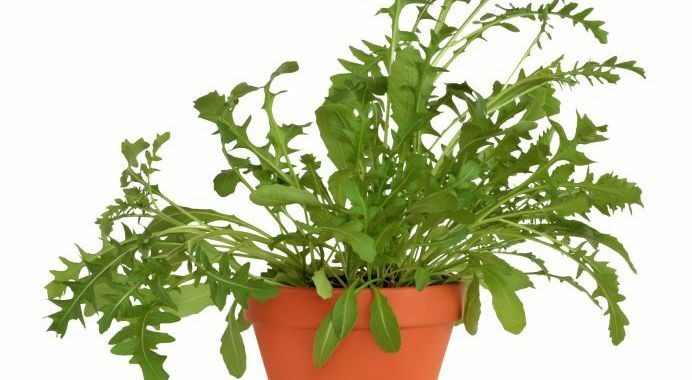 Rocket is noted for its distinctive nutty, tangy flavour, a quality that has created legions of rocket lovers. It is a cool season crop and grows best, with less bolting, during the cooler months of the year. Boil the diced potatoes in salted water for about 15 minutes. Wash the rocket, making sure that all the sand is gone. Add the rocket and 2 large pinches of salt to the potatoes. Cover the pot. Cook for an additional 15 or 20 minutes at low heat until the potatoes are comfortably tender. Add the bread to the pot. Remove from heat, and cover the pot. Let stand for 10 minutes. Add a liberal grinding of pepper and the olive oil. Stir well, and taste for salt and pepper. Serve immediately. Posted in Culinary and tagged cooking, flavour, herb, quality.